Go Geppetto Contest: Making IoT & electronics devices a reality | Gumstix, Inc. Learn about our Go Geppetto Competition winners, their progress, and any updates we have about their Geppetto projects! New stepper motor, breakout, and LoRa Gateway with PoE expansion boards for the Raspberry Pi and RPi Compute module available at Gumstix. In addition, Gumstix engineers have released a custom Yocto Linux build for Raspberry Pi. 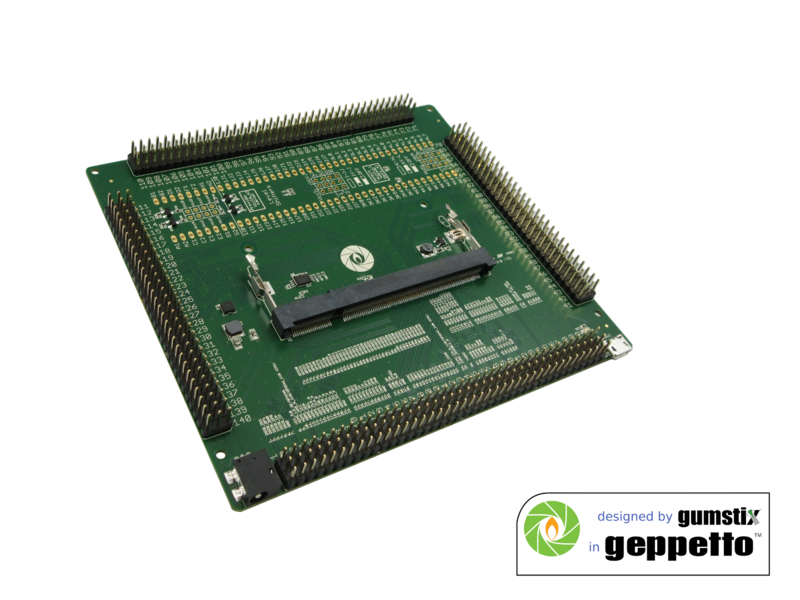 The Gumstix Pi Stepper HAT is an expansion board for your chosen Raspberry Pi product. This board includes a stepper motor driver usually used on printers, scanners, video security cameras, projectors, and other automated equipment. 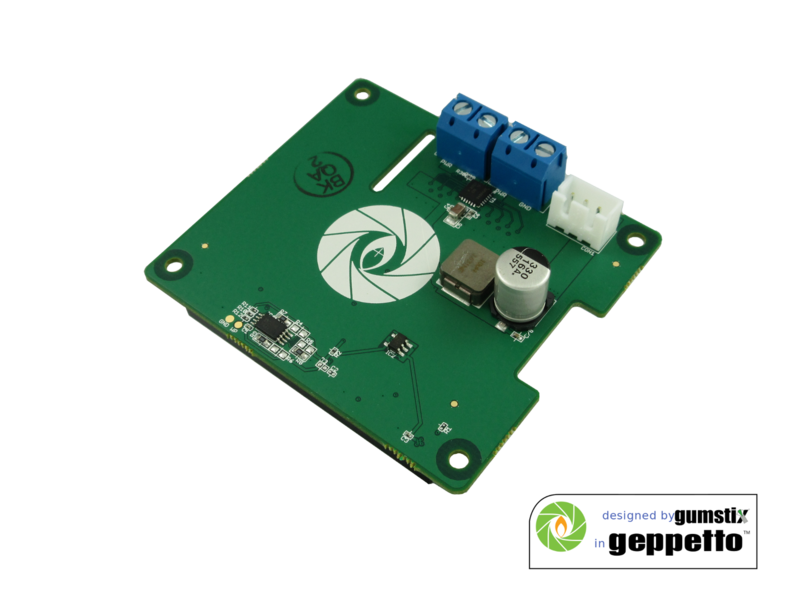 Moreover, with a 1.8°/stepper motor, the Gumstix Pi Stepper HAT can divide a full 360° rotation into 6400 distinct positions for surgically precise motion control. With variable torque and decay rates, as well as adaptive blanking, this stepper motor driver is a versatile robotics component. Now available in our store for $35.00. The Gumstix Pi Newgate is a breakout board that exposes every feature of the RPi Compute Module and Compute Module 3. This is ideal for anyone looking to easily monitor digital, analog, and differential signals via 0.1″-pitch pins. Additionally, the headers on each side of the board provide 3 terminals for each pin of the 200-pin SODIMM connector. While the USB-microB connector provides a UART console connection. The Gumstix Pi Conduit PoE is an expansion board which adds versatility of Power over Ethernet (PoE) to your LoRa gateway. With the addition of PoE, this board allows you to deploy anywhere your network can go without the installation of A/C power outlets. Ultimately, the Gumstix Pi Conduit PoE is a single-cable LoRa gateway solution with a blazing fast Gigabit ethernet connection. 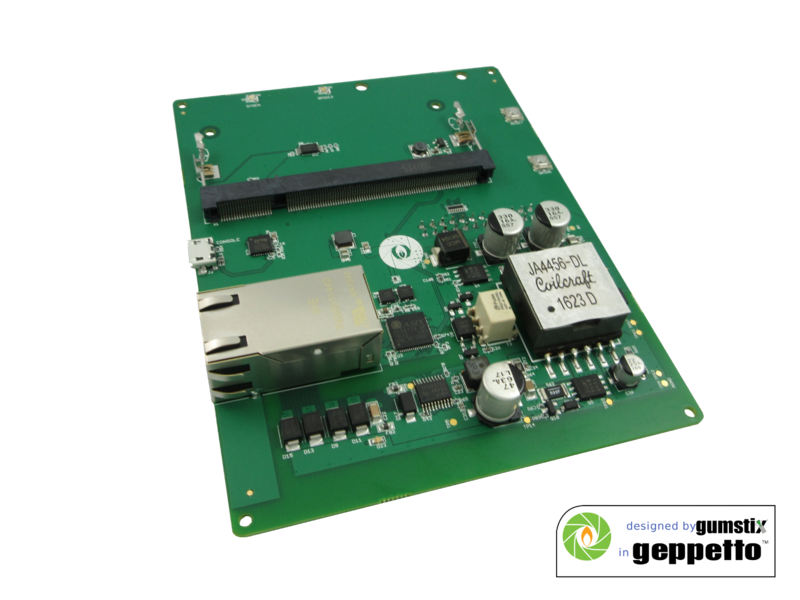 Two Power over Ethernet (PoE) modules are now available in Geppetto. The Gigabit With PoE module delivers Gigabit speed to supporting modules while the Gigabit with PoE via USB module provides 10/100/1000 Ethernet using a USB to Ethernet controller chip to your processor of choice. These modules can be used to build custom PoE-powered boards for Raspberry Pi or any of the processors and COMs in the Geppetto library. Gumstix now provides custom Yocto Linux disk images (Morty), curated to provide complete support for Gumstix Pi HATs and Compute Module carrier boards. Drivers for modules found in the Geppetto module library, helpful scripts and apps from our engineers, and systemd services for compatible hardware are incorporated. Moreover, Gumstix’s Smart repository provides a wide variety of RPM packages for easy installation. Gumstix support also means embedded systems are no longer constrained by Raspbian. The Gumstix Yocto build for Raspberry Pi ensures that the latest drivers, apps and kernel features are at a developer’s fingertips in a fast, lightweight, and developer-friendly OS. Additionally, developers can tune the operating system footprint using the familiar and popular Yocto build system. Finally, the Gumstix Yocto Linux downloads are available on applicable product pages under the software tab. All three boards are designed in Geppetto where you can clone it and add customization you need to each board. Geppetto is our free online design tool that allows you to create a custom board design — no electrical engineering required from you. Moreover, we handle everything, from sourcing of parts to production, to ensuring that your board boots out of the box. We take care of production while you focus on your software or application. Finally, we will deliver your pre-tested, production-ready boards in 15 business days.